German automobile manufacturer Volkswagen recently unveiled their compact sedan Ameo for the Indian consumers. 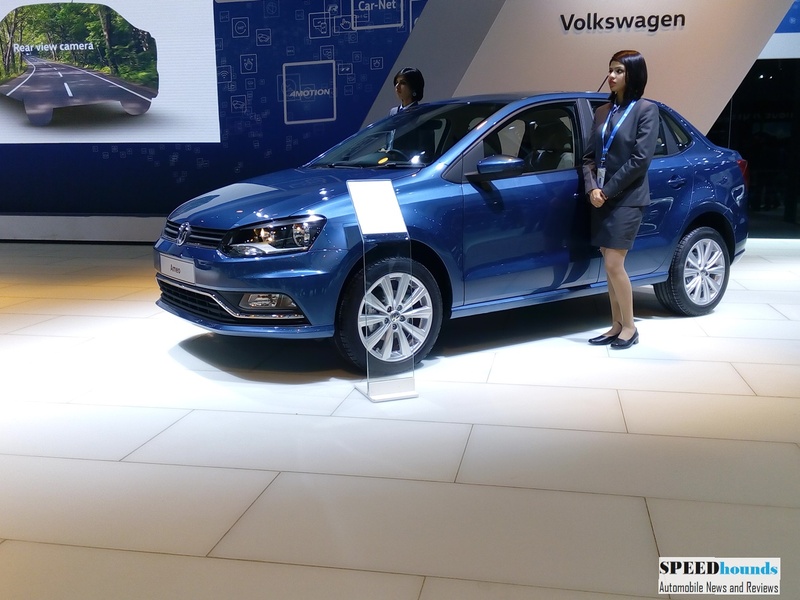 VW Ameo will go on sale in the second half of 2016 to fight against the already established Hyundai Xcent, Maruti Suzuki Dzire, Tata Zest and the Ford Figo Aspire. 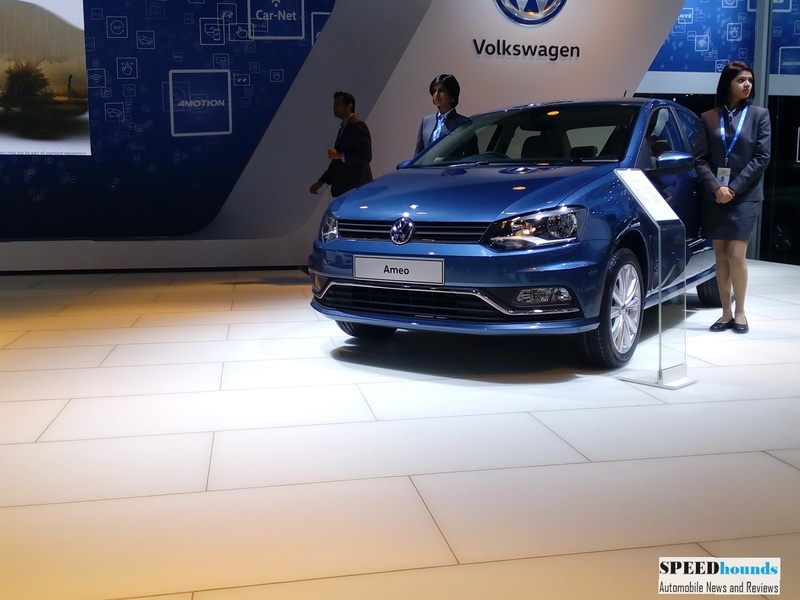 VW Ameo shares the platform with Polo hatchback. 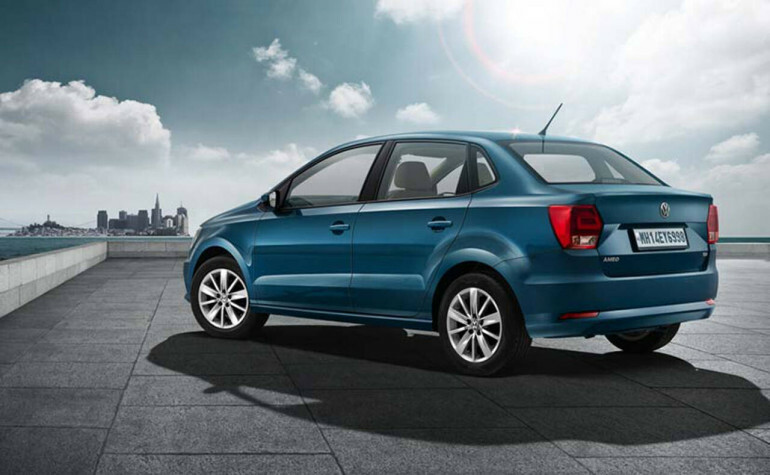 The compact sedan looks identical to the Polo, except for the rear compartment. The rear has a stubby boot and the compact sedan measures less than 4 meters in length. Ameo will be available with a 1.5 litre 4 cylinder diesel engine mated to either a 5 speed manual gearbox or a 7 speed automatic DSG gearbox. Petrol version will be powered by a 1.2 litre MPI engine mated to a 5 speed manual gear box. On the outside the compact sedan gets new alloy wheels, smoked headlamps, dual slated grille, new tail lamps, rectangular fog lamps and ORVM with turn indicators. 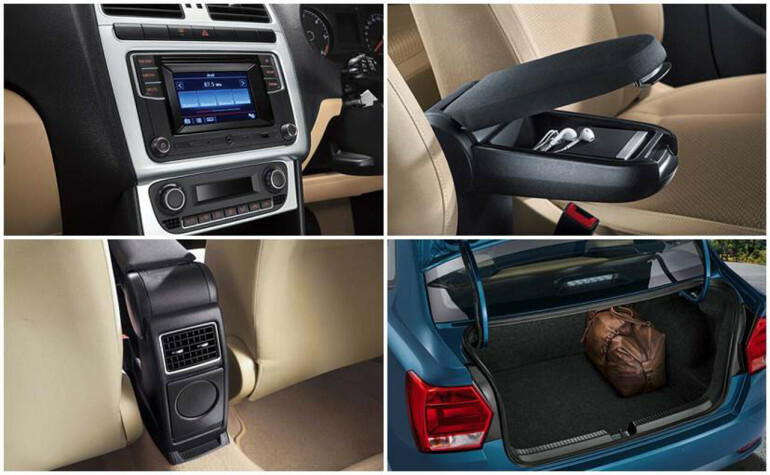 VW Ameo borrows its interiors from Polo hatchback with a black and beige interior color combination and a silver finish on the center console. In terms of features Ameo comes loaded with 3 spoke multi-function steering wheel with tilt and telescopic adjustment, Bluetooth enabled touch screen infotainment system, rear AC vents, cooled glove box, cruise control, rain sensing wipers, automatic headlamps, electrochromic mirror, cornering lamps and front center armrest with storage. 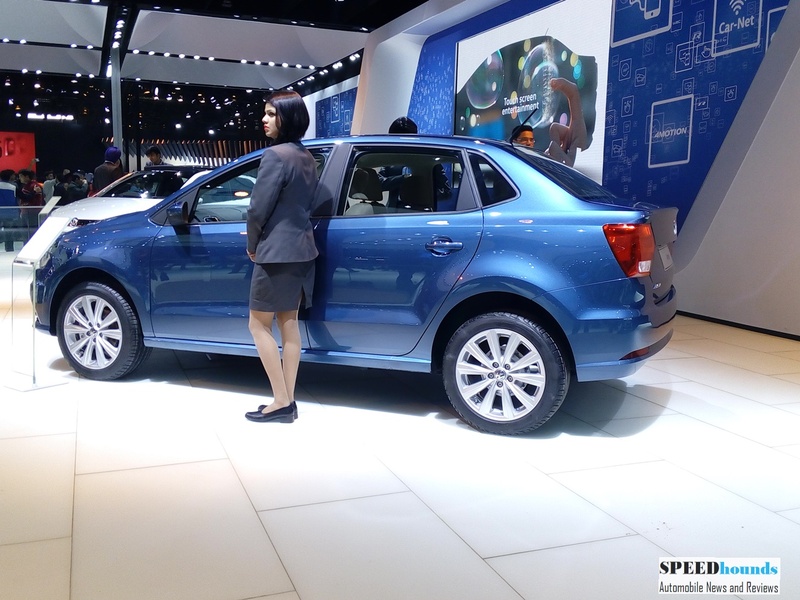 VW Ameo is equipped with Dual airbags and Airbags as a standard feature across all variants, whereas the higher variants will have a rear view camera, Hill Hold function and 16 inch alloy wheels.